Recently I hit a bit of a brick wall. 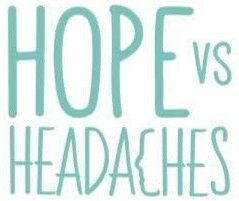 No one tells you that after beating chronic migraines that there will be a whole other chapter that you have to face afterwards. Extreme tiredness no matter how many hours you seem to sleep, brain fog, headaches and muscle aches seem to be the most prominent symptoms right now. So as you can understand, I have felt somewhat frustrated by this newest revelation. As close as I thought I was, I am not yet able to spend all day at the beach like my friends, go to parties and busy social events like ‘normal’ people do or make it all the way through a wedding, which I have to admit has been driving me pretty crazy. All I have recently been focusing on was what I couldn’t do. In turn this then made me super emotional (yes, even more than normal), highly sensitive and creating so many other issues for myself that of course weren’t issues whatsoever! After what I would call a ‘mini meltdown’ or what my good friend Anthony calls ‘a checkpoint’ in my recovery journey, I had an epiphany. I realised that all the frustration, anger and emotional upset that I was creating by not being exactly where I wanted to be, was causing me actual physical pain and stopping my body’s ability to heal. Not so coincidentally, it was at this point Gabriella Bernstein’s book “The Universe Has Your Back” made an appearance in my life and from this point on everything changed. The book teaches you that by trusting in the universe and it’s ability to guide you, allows you to no longer live in fear and negative emotions. The aim is to perceive any problem that arises in your life through the teacher of love, meaning it has been sent as a lesson and is part of the process. Choose to embrace it and be at peace with it. Gabriella says that every obstacle is simply a detour in the right direction so simply trust the process as the universe has a higher plan for you. One of my favourite quotes from the book is “Those who are certain of the outcome can afford to wait and wait without anxiety”. This was a game changer for me as I realised that due to my uncertainty and view of my situation from the position of scarcity and lack, this is why I was experiencing anxiety, fear and so much tension. And as I know from my migraines, in order for the body to be able to heal it needs homeostasis and a calm nervous system which is certainly not what I was creating for myself. Ok, let’s hear that again and really think about it. Pain may be present, but suffering, is, a choice. Bingo! I suddenly had all the answers I needed. With Gabriella telling me to lean towards love and joy by trusting that my highest good is coming to me, and with this incredible revelation from the speaker also telling me that I can still find love and joy even in pain, I realised that this was what I needed to do in the next step of my journey to heal my body. So that’s what I have been doing! I visited my Grandad and looked over beautiful family photos and soaked up the love and joy reminising with him. I have enjoyed lovely afternoons in watching films with my Mum, laughing, being totally present and grateful for these priceless moments with her. I even found the joy in simply being alone, tucked up in bed with a good book and a cup of herbal tea. As a result my health has definitely benefited, and to be honest, I feel ten times happier than I did before making these changes. We have a choice in the world to choose scarcity, lack, conflict, anxiety, tension and fear which will all manifest in our physical body, or we can choose to live in peace, love, serenity and joy by finding the good in every situation and trusting in the universe. Previous Entry The Most Simple Migraine Diet That Will Change Your Life!